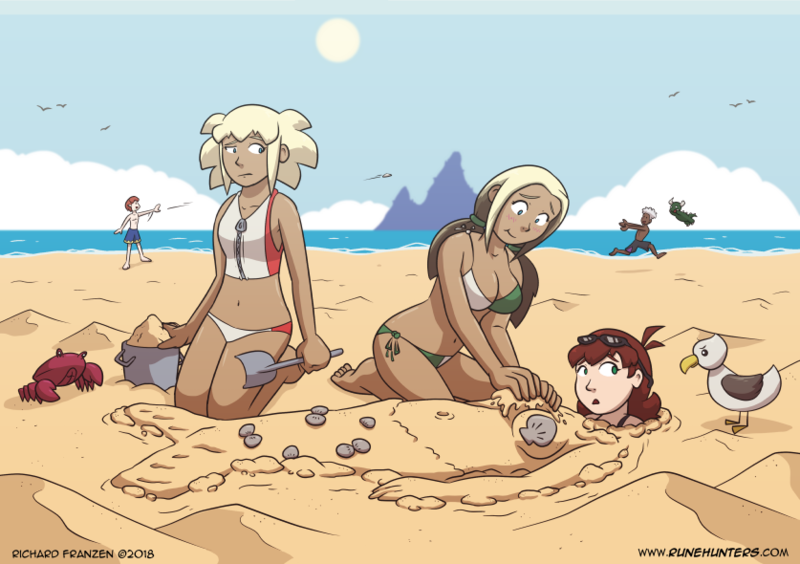 What better way to celebrate summer than on the beaches of Port Au Rocher that Asura, Ada and the crew cleaned up. Fortunately for them, all of the charred corpses were cleared out awhile ago. Now everyone can just enjoy the sun, sand and the Necropolis looming off in the distance.